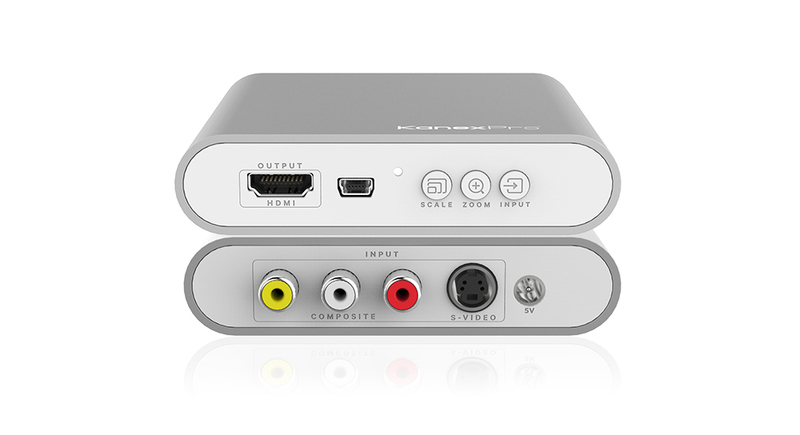 The KanexPro CON-AV-HD4K is a universal scaler converter designed to up-scale one Composite (RCA) or S-video input to HDMI 4Kx2K@60Hz output. The CON-AV-HD4K is capable of converting analog to digital formats with multiple adjustments and range to achieve the most ideal video image using the front panel buttons for scaling & zoom. It is portable and simple plug and play device making it the most ideal converters for scaling analog to 4K digital signal conversion. 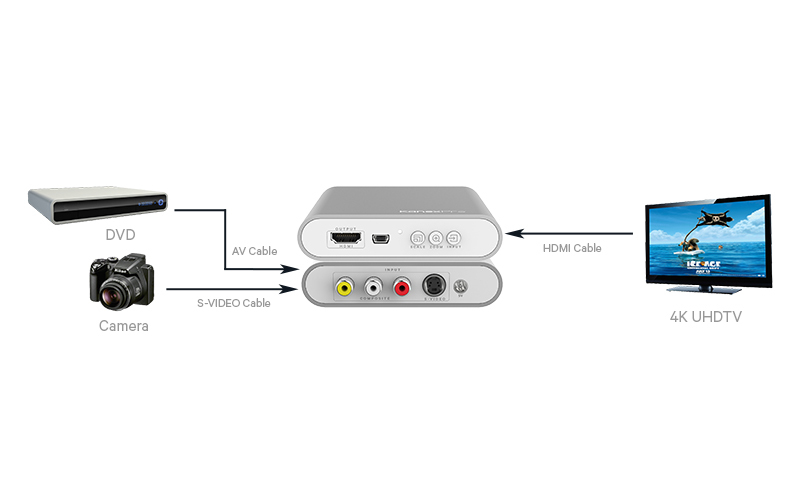 Perfect for older AV devices that need to be transformed to 4K UHD display for viewing purposes only.